Ready to have your granola and freshly-ground coffee gently placed at your doorstep by a drone? That dream may have become one step closer. The recent announcement of Whole Foods’ acquisition by Amazon has come at a surprise to many but it’s a perfect fit for Amazon. Here are 5 things you probably didn’t know about the Amazon/Whole Foods acquisition. The industry is already feeling the effects of the possible merger. After the acquisition announcement, stocks for traditional grocery chains dropped 10 percent in pre-opening trading. If a bidding war escalates, the final sale of Whole Foods could end up being a tremendous amount of money. 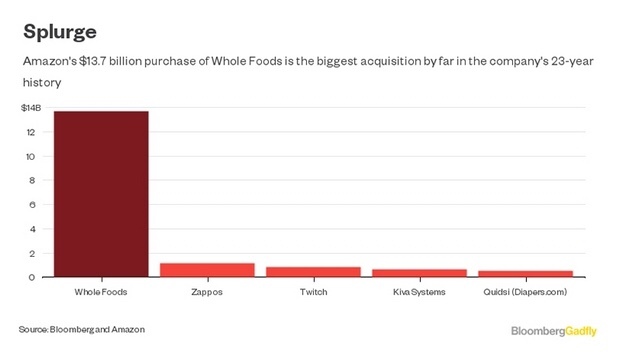 Whole Foods would be Amazon’s largest acquisition to date, so it’s entirely possible that we end up with a different acquirer. Though drone delivery continues to be unlikely in the short-term due to FAA regulations in the U.S., that doesn’t mean we won’t see it develop rapidly alongside traditional home delivery in the next few years. Grocery delivery has always been a problematic industry, from its inception with WebVan at the dawn of the internet to more recent entrants like Instacart and Shipt. So far, the convenience, limited selection, and affordability haven’t been enough for home delivery to achieve mass-market breakout velocity, but this could change. 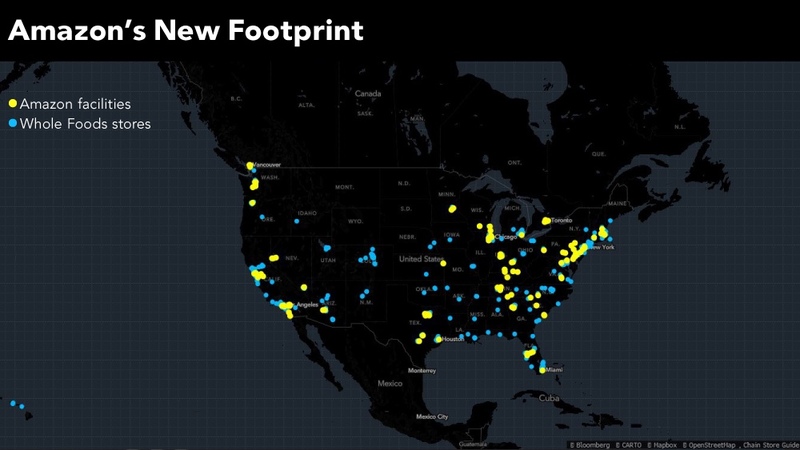 Whole Foods will add a massive network of locations around the U.S. to Amazon’s already extensive network of distribution centers, allowing the company to make grocery delivery available to more than a few niche cities. 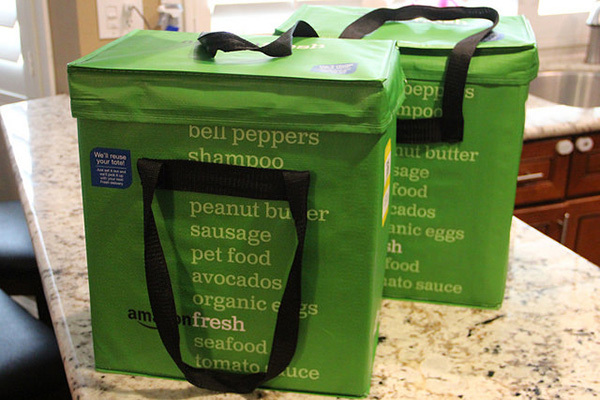 With Whole Foods under its ownership, Amazon will also have an established customer base with potential for sustained demand for home delivery of perishable goods, something that was lacking for Amazon Fresh when it first launched. 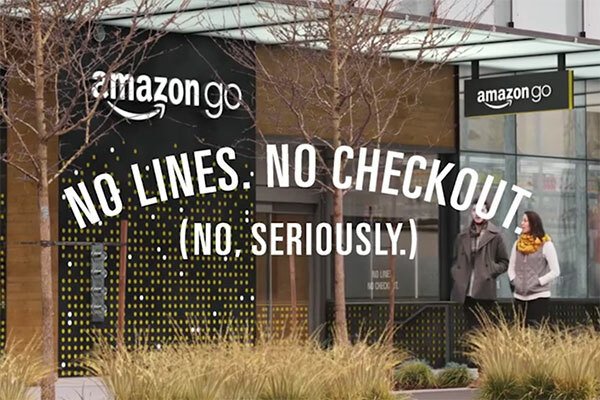 Amazon Go’s “Walkout Technology” enables someone to walk into the grocery store, grab their groceries, and walk-out without the hassle of checkout lines. 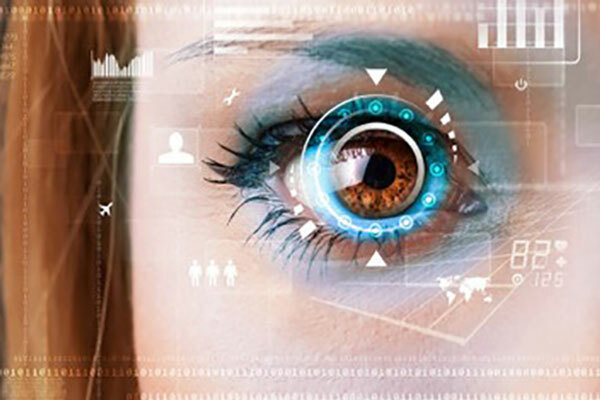 Understanding buying habits of individual consumers to provide more personalized marketing has been a challenge for grocery stores and retailers for years. Amazon Go solves this problem with an analytics-first approach to the in-store customer experience. 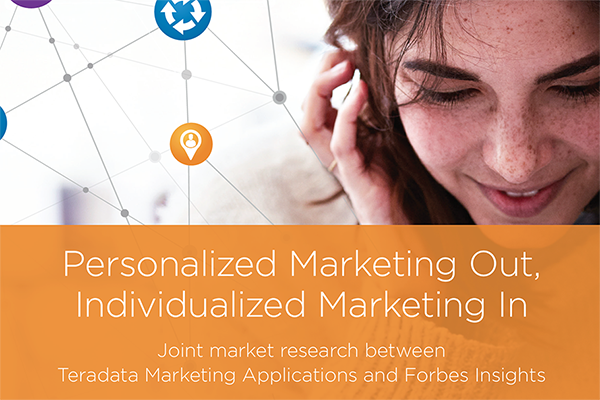 Not only does this fuel individualized marketing, it also provides Amazon with the highly-coveted singular view of individual customer buying habits, both online and offline. The first Amazon Go location is scheduled for 2017 in Seattle. Considering the distribution of Whole Foods stores, this acquisition could mean a much faster expansion of Amazon’s Walkout Technology. 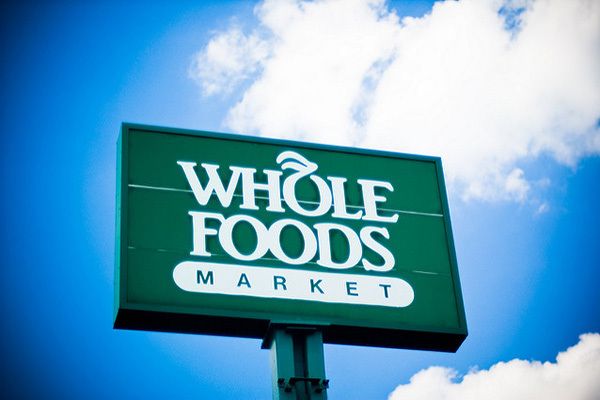 If Amazon successfully acquires Whole Foods, the entire industry will have to undergo significant changes to compete with the retail giant. 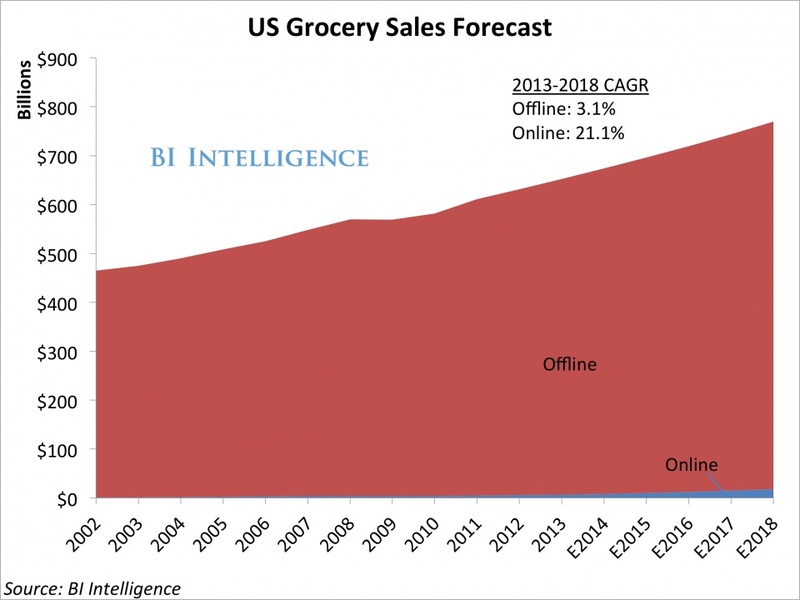 With grocery stores’ notoriously poor margins of one to two percent, the industry is ripe for disruption. Self-checkout kiosks have done little to alleviate the many pain-points of physical grocery stores. If Amazon is able to impact in-store shopping like it did to online retail, traditional grocery companies will have no choice but to innovate or die. While companies like Walmart may have already mastered distribution, they are lacking the technical prowess necessary to compete with Amazon. Walmart, however, doesn’t seem phased by a possible Amazon/Whole Foods merger. “We feel great about our position, with more than 4,500 stores around the country and fast growing e-commerce and online grocery businesses,” a spokesman for Walmart said in a statement. Jeff Bezos has been clear that he wants Amazon to be a ubiquitous brand. He aspires to be everywhere that his customers are, and grocery retail is an important part of that. It will be fascinating to see what Amazon does with the Whole Foods brand. As I shared on This Morning with Gordon Deal, “the big question now will be if they continue to use the Whole Foods brand as the lead story with the customer or if they will try to bring the Amazon brand to the retail grocery environment.” If you’d like to hear more about Amazon’s World Takeover, check out my recent conversation with Gordon Deal below. Moving your business to the #TopRight requires a deep understanding of your brand and your customers, particularly when evaluating if a brand extension is the correct strategy for your organization. 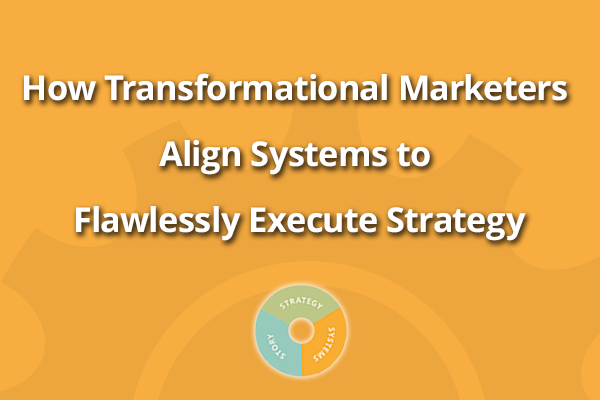 Learn how to bring Alignment to your Story, Strategy, and Systems in our new eBook Transformational Marketing: Moving to the TopRight.